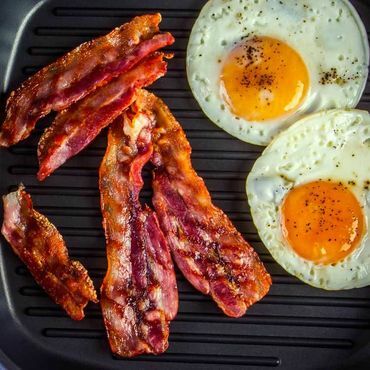 The latest diet craze among celebrities promises weight loss without sacrificing bacon. The keto diet, short for "ketogenic," involves eating a high amount of fat, a moderate amount of protein and very few carbs. It's been around for decades, & now & then is revived by idiots, this time in Hollywood! It's a VERY DANGEROUS fad diet!!! Why don't people simply eat moderately sized portions of a variety of foods from all the food groups??? Read all the comments under this article. Every single one is critical of the writer. Most seem to have actually tried the diet.